In recent years, the traditional approaches for improving performance, such as increasing the clock frequency, has come to a dead-end. To tackle this issue, parallel architectures, such as multi-/many-core processors, have been envisioned to increase the performance by providing greater processing capabilities. However, programming efficiently for this architectures demands big efforts in order to transform sequential applications into parallel and to optimize such applications. 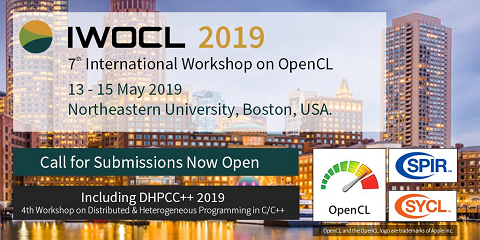 Compared to sequential programming, designing and implementing parallel applications for operating on modern hardware poses a number of new challenges to developers such as data races, deadlocks, load imbalance, etc. To pave the way, parallel design patterns provide a way to encapsulate algorithmic aspects, allowing users to implement robust, readable and portable solutions with such high-level abstractions. Basically, these patterns instantiate parallelism while hiding away the complexity of concurrency mechanisms, such as thread management, synchronizations or data sharing. Nonetheless, frameworks following this philosophy does not share the same interface and users require understanding different libraries, and their capabilities, not only to decide which fits best for their purposes but also to properly leverage them. Furthermore, in order to parallelize these applications, it is necessary to analyze the sequential code in order to detect the regions of code that can be parallelized that is a time consuming and complex task. Additionally, different libraries targeted to specific devices provide some algorithms implementations that are already parallel and highly-tuned. In these situations, it is also necessary to analyze and determine which routine implementation is the most suitable for a given problem. To tackle these issues, this thesis aims at simplifying and minimizing the necessary efforts to transform sequential applications into parallel. This way, resulting codes will improve their performance by fully exploiting the available resources while the development efforts will be considerably reduced. Basically, in this thesis, we contribute with the following. First, we propose a technique to detect potential parallel patterns in sequential code. Second, we provide a novel generic C++ interface for parallel patterns which acts as a switch among existing frameworks. Third, we implement a framework that is able to transform sequential code into parallel using the proposed pattern discovery technique and pattern interface. Finally, we propose mechanisms that are able to select the most suitable device and routine implementation to solve a given problem based on previous performance information. The evaluation demonstrates that using the proposed techniques can minimize the refactoring and optimization time while improving the performance of the resulting applications with respect to the original code.